This is different from traditional staff development where teachers often participate in whole school training that they did not choose with a trainer who does most of the talking. This approach assumes that all teachers need to implement a new strategy and if a teacher points out why it may be difficult to implement the teacher is often not listened to or treated as a trouble maker. Instructional coaching changes all this because it is founded on the principle of equality. This does not mean that coaches and teachers have equal knowledge on every topic but that the teachers' opinions are as important as the coaches'. Coaches need to ensure that teachers feel that they are valued and that their opinions matter. Because coaches and teachers are equal partners, teachers need to have a say in what they do and do not do. In fact traditional PD often fails simply because teachers often have to attend compulsory trainings that may not meet their needs and they don't have a choice about what they learn. Jim Knight argues that "taking away teachers' right to say no is one way schools take away teachers' professionalism ... what makes someone a professional is her or his ability to choose correctly When we take away choice, we reduce people to being less than professionals." However in some cases training is legally mandated - in these situations coaches can still offer teachers choices about how they might adapt the instruction, how they want the learning to be structured, what kind of support they prefer and so on. Coaches should value the opinions of all the teachers they collaborate with - even those who disagree with them. Knight writes that "when coaches listen to and value teachers' voices, they do a lot more than learn. Coaches who temporarily set aside their own opinions for the sole purpose of really hearing what their colleagues have to say are powerfully demonstrating that they truly value their colleagues' perspectives ... When a coach empathetically listens, the coach communicates that the other person's life is important and meaningful." Many teachers find it hard to make the time to reflect, but a coach can create the time for this to happen. Listening empathetically and encouraging everyone to speak their minds can encourage dialogue. 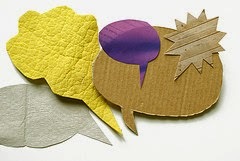 Dialogue brings people together as equals so that they can share ideas, create new knowledge and learn. It is not the same as discussion, where individuals usually advocate their point of view in competitive conversations that contain little reflection. Bearing in mind all the above points, teachers are free to speak their own minds and make their own choices. Tech coaches don't tell teachers what to believe but provide them with the information they need to make their own decisions and so encourage them to be reflective thinkers and decision makers. Reflective practitioners often think about how ideas can be used in the future, and so during instructional coaching teachers should be empowered to think abut how ideas might be shaped, adapted or reconstructed to fit with their way of teaching and with the needs of their students. Reflective action relies on teachers being able to think about how to shape ideas to their real life practices. Praxis is established when teachers have the chance to explore and reshape new approaches so that they can work in their classroom. The above principles have ensured that teachers have a voice, through dialogue, and that they are able to reflect. Instructional coaches, by honoring these principles, demonstrate that they have faith in teachers abilities to find new applications for their content. At the same time coaches are also learning from the teachers. In chapter 3 of Instructional Coaching Jim Knight shows that at the heart of the coach-teacher relationship there is a deep respect for the professionalism of teaching. It is important that coaches are seen as colleagues that teachers can trust so that they can make a difference in the way that teachers and students learn in schools.